For the first time in my entire life I saw a wild red fox! I was so excited! I had always been with someone who pointed one out, running by, but I always missed it. My parents even had one make her den near their house and I never saw that one either! I have been seeing foxes everywhere! In magazines, social media, even on flags as I randomly drive down the road. 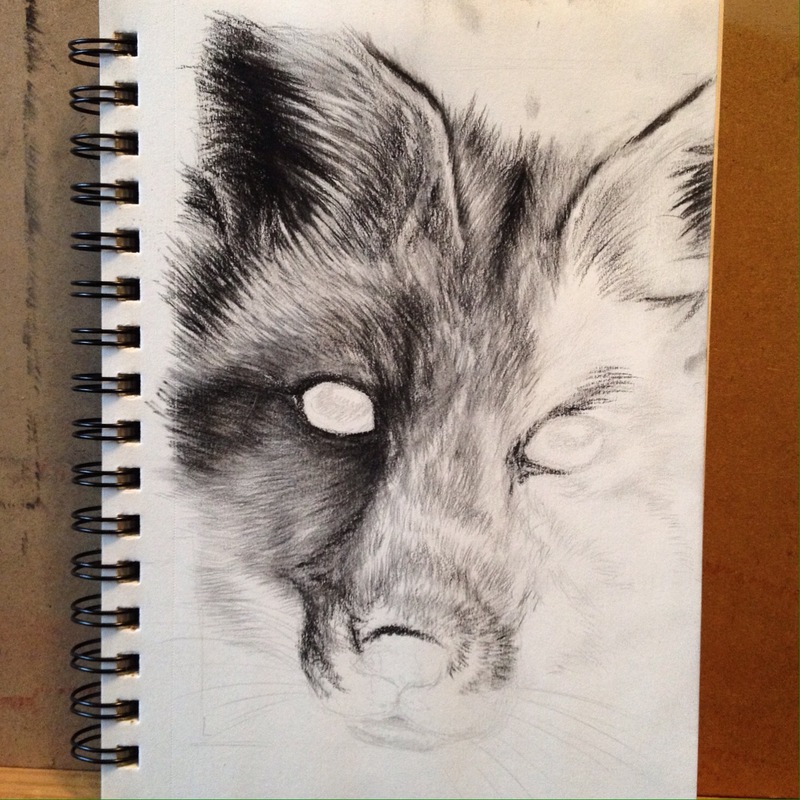 Then when I finally saw the wild fox, I knew I had to draw one for my next eye piece. So here is my current work in progress. I hope to complete it this weekend! I have also been reading up on fox symbolism since they seem to be presenting themselves to me so often. I always trust my animal guides! I’ll share my findings when I post the completed piece. Thanks for reading! I hope everyone is enjoying some sunshine!